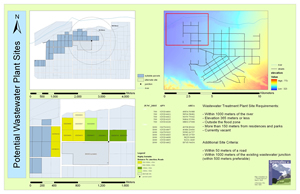 This was a sample GIS project detailed throughout ESRI's ArcGIS 9.0 "Getting Started" manual. 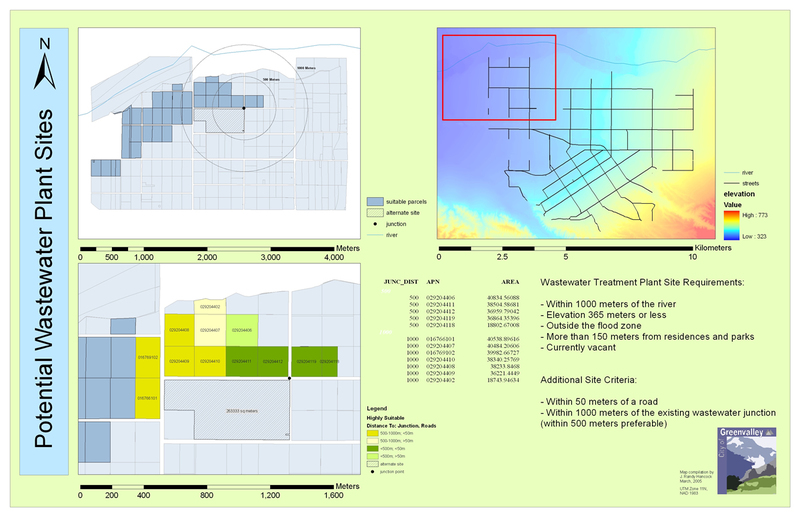 The objective of this project was to find suitable locations for a new wastewater treatment plant.
" Within 1000 meters of the existing wastewater junction, however, within 500 meters is preferable. ESRI. (2004). Getting Started with ArcGIS. ESRIPress, Redlands, CA.